Get ready, cat people. 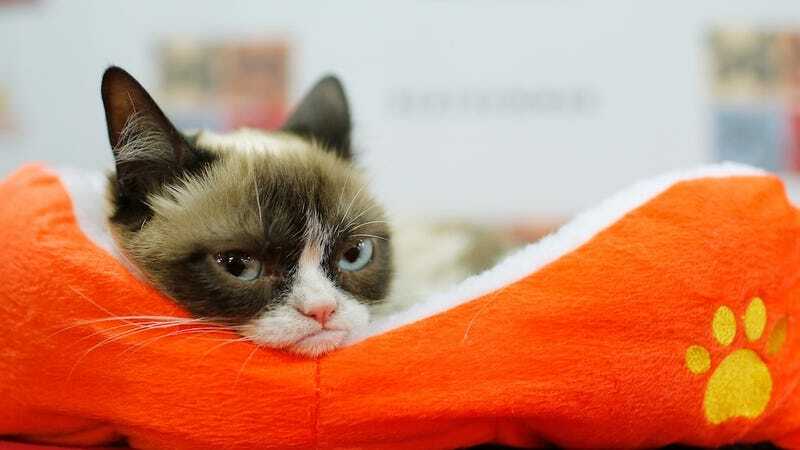 An exhibit called “How Cats Took Over the Internet,” will debut on August 7 at the Museum of Moving Image in New York. According to a press release, the exhibition will take a “critical look at the phenomenon of cats online and how they have transfixed a generation of web users.” In a screening room next door, a continuous loop of “significant cat videos” will be playing, reports Racked. So instead of staying home and watching cat videos on YouTube in your pajamas, you can watch them at this museum on a glorious full-sized screen. Visitors can also participate in interactive stations that will “will allow visitors to experiment with creating their own lolcats and to contribute their favorite cat photos, GIFs, and videos to the exhibition.” No word yet on whether or not some of our favorite celebrity cats like Grumpy Cat or Lil Bub will make an appearance. The exhibit will run until January 2016 so you’ll have plenty of time to plan accordingly.